﻿ Hotel Majestic Roma - The Leading Hotels Of The World, Rome | FROM $174 - SAVE ON AGODA! 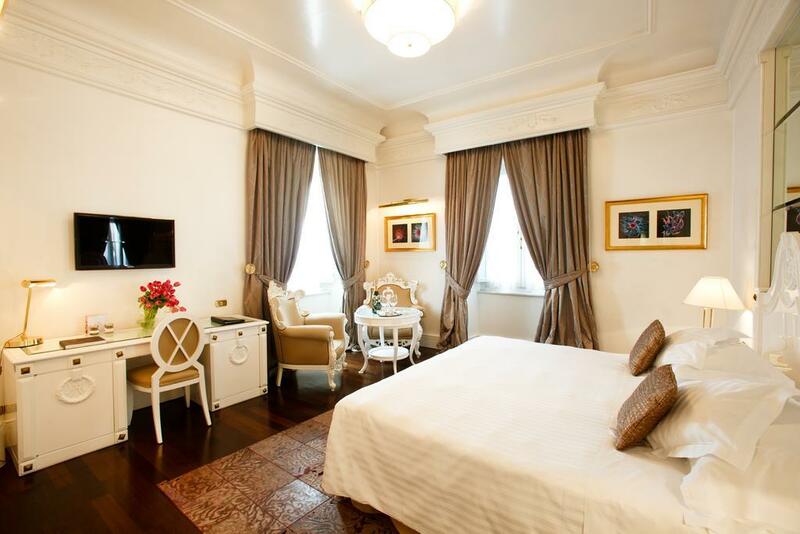 "The rooms are beautiful and spacious for Europe and the bath..."
Have a question for Hotel Majestic Roma - The Leading Hotels Of The World? 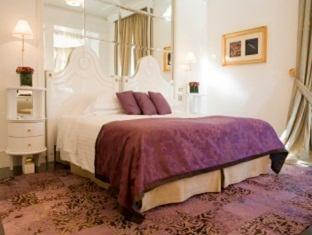 "Great hotel, supper friendly staffs and a very good location." "The lobby and bar are great." "The entire hotel and location were wonderful!!!" "Very helpful and friendly staff, perfect breakfast on the te..."
Within walking distance from the Borghese Art Gallery and Garden, with a great deal of history, the renowned Hotel Majestic Roma - The Leading Hotels Of The World is a popular and sophisticated choice of accommodation right in the heart of Rome. Beautifully located on the world-class Via Veneto, not only is the hotel set back in its own luxurious, well-earned lot, it is also just footsteps away from the Villa Borghese, the Spanish Steps, Via Condotti, and the Trevi Fountain, to name just a few of the nearby hot-spots and shopping districts. 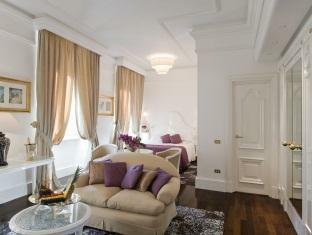 As for architecture and design, this is the apex of luxury hotels in Rome. The hotel provides 98 rooms and suites. 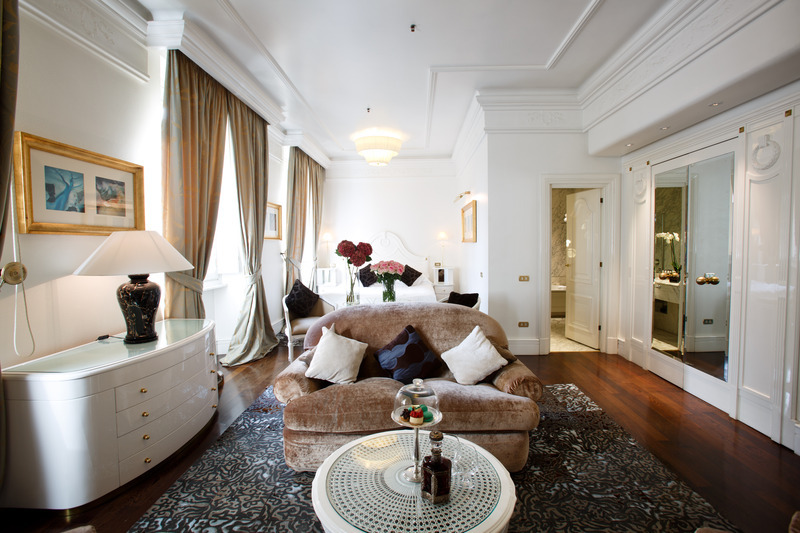 For a trip in the heart of luxury, and best of all, the heart of Rome, the Hotel Majestic Roma - The Leading Hotels Of The World has made its imprint on boutique hotels. "Room was clean, bathroom was clean and good." The location is walking distance to most attractions. 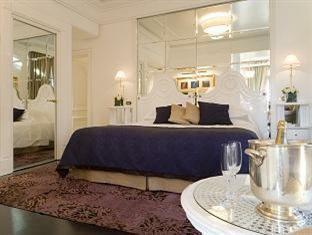 The rooms are clean and feel very spacious thanks the mirrors on the walls. We were also very lucky to find a very good last minute deal. Really made our trip a memorable one! This hotel is one of the nicest I have ever stayed in. 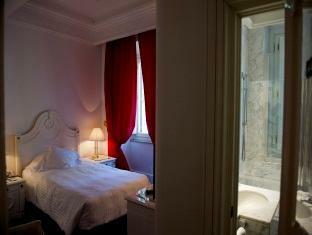 The rooms are beautiful and spacious for Europe and the bathroom is fantastic. The lobby and bar are great. The only con I would mention (and this is probably just a matter of taste) is that I did not care for the restaurant menu selection. I would’ve liked more main course selections But all in all this is a fantastic hotel. Celebrated our wedding anniversary and they made it so very special for us. Great hotel with every amenity one could possibly need. 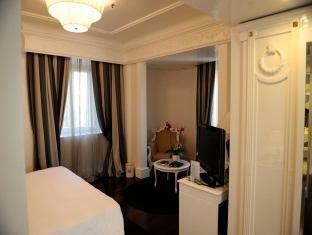 the room is small but cozy, and still convenient for a solo traveler. I love that the location is just 2 minutes away from nearest MRT, and walking distance to some tourist spots. Will be happy to stay here again. Room was single, quite small. No water kettle or tea. No air conditioner in the winter. Buffet was expensive. Room was clean, bathroom was clean and good. Excellent high quality hotel. 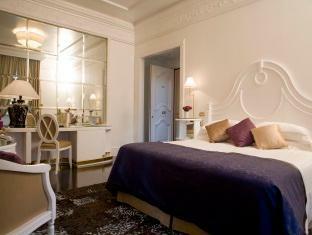 It embodies the feel of old world class that is Rome. Faultless service and beautiful property. We had a wonderful holiday day. Great hotel, supper friendly staffs and a very good location. Everyone says that service is slow in Italy. At Majestic the service was amazing. Much better than what we have seen in the states. On top of the great location, and a wonderful hotel. Beautiful hip modern well equipped room in historic hotel in quiet but well located location close to shopping and restaurants and transit. Very helpful and welcoming staff. Great breakfast. I stayed street side but wasn't bothered by nighttime traffic. Wi-fi very good. We were given two rooms at the end of the hallway that could be locked off into a suite. The entire hotel and location were wonderful!!! Their staff are very rude.line to getting your key everyday is terrible and when I told them the concierge was yelling at me that he just have 2 hands!!!! Paying for 5 star hotel and getting the service like that is too much. The bathroom was very old and water won't go down. The room light was strange ! You can't control which light you wants on or off! Every night some one calling us at two o'clock midnight and wake us up ! When I told them first they denyied and then I find out that they call other customers too. Not worth it at all. Very unhappy to go there. Bed is really comfy! However, the toilet was too small, especially for 2 people. Location is great. Beautiful neighborhood with in walking distance to all the major sites. Very friendly and helpful people at the concierge desk. huge room, the breakfast was incredible, the location is great surrounded with great restaurants nearby. would definitely stay here if we were to comeback!